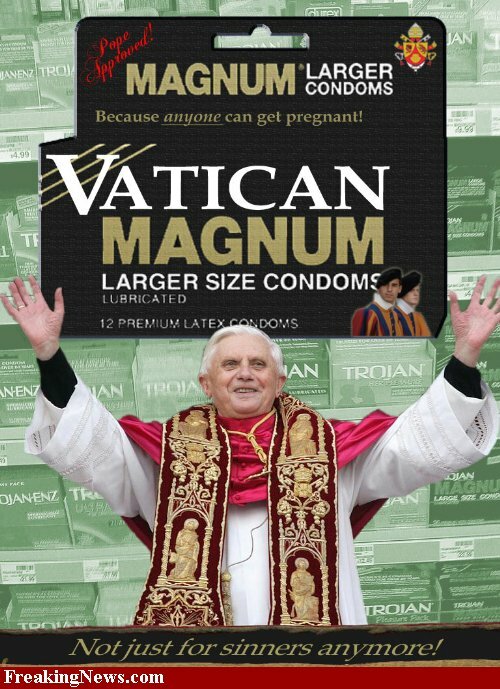 The church plans to hand out 3,000 condoms as part of an effort to engage young people turned off by the Vatican's long-standing opposition to the use of condoms. Spokesman Florian Flohr says the campaign has drawn mostly positive reactions but some Catholics have expressed concern. How does a blasphemy like this pose as a "mistake?" If you can plot out such nonsense and claim it as error, could you do the same with all of the heresy of Vatican II---and jettison it once and for all? Bishop Ross Davies of Murray, who resigned on September 24, was accused by two fellow Anglican bishops of engaging in verbal abuse, covering up sexual abuse, promoting the Catholic faith instead of his own, and worshiping at a Catholic parish in Adelaide. Before his resignation, Bishop Davies was on sick leave for a year and was living outside his diocese." This proves that the Anglcans have their own problems with vice, yet isn't it interesting that one of the charges was "worshiping at a Catholic (sic)parish"? 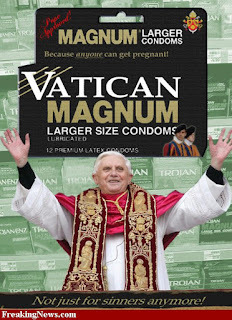 Ecumenism is less rampant among heretics of old than Ratzinger's sect. Had one of his "Bishops" done what this Anglican had done, he would have been promoted to Cardinal! Forget the vices--he's appropriately ECU-MANIACAL!! !